1. This is a Gumbo, Pork Spare Ribs, Chili, Chef’s Choice, Salsa, Bartender’s Choice, and Dessert and Kids Dessert Cook Off. You are allowed to cook multiple entries in each category, but $20 entry fee must be paid for each of them. 2. Cooks are to prepare and cook in as sanitary manner as possible. Cooking conditions are subject to inspection by judging committee. Infractions identified by the judging committee shall be immediately corrected or the cook will be subject to disqualification. Any commercial or homemade, trailered, or untrailered, pit or smoker normally used for barbeque is allowed. A BBQ Pit may include gas or electricity. Cookers must provide their own pits and cooking devices. 3. 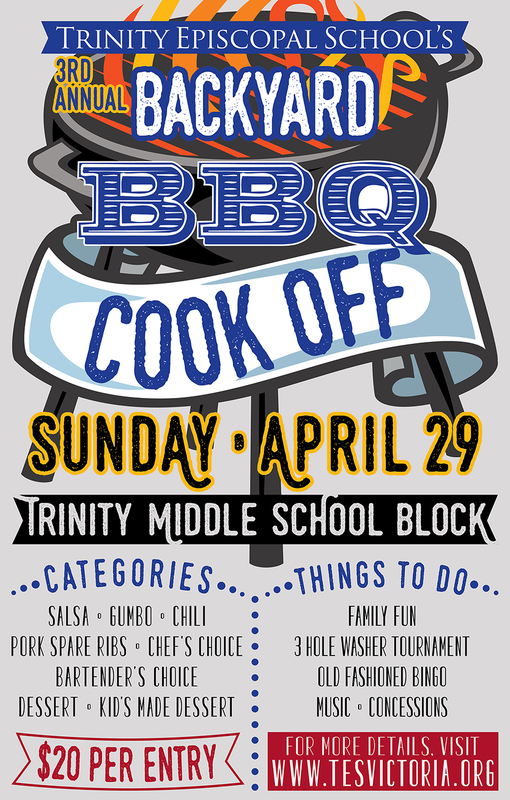 Entries are allowed to be cooked at home and brought to the event but must be turned in by the head cook and on time for the category. Again, keep in mind that food must be kept at proper temperature to prevent spoilage or contamination. 4. A secret double number system will be used. The container will be labeled with a ticket. The cook will keep the ticket showing and the other will remained taped to the box. AGAIN, THE TOP OF THE CONTAINER IS THE SIDE THAT HAS THE TICKET. Pay attention to this when placing the entry into the container. The pinto bean, margarita, and salsa containers will have the numbers placed on the side of the container. 5. Turn in containers will be provided to you at check-in the morning of the event. A Styrofoam tray with hinged lid will be used for dessert, chef’s choice, and pork spare ribs. Styrofoam cups with lids will be used for chili, salsa, gumbo, and bartender’s choice. All judging containers shall be clean and free of any markings. Marked containers may be disqualified at the Head Judge’s discretion. Cooks are responsible for insuring that the containers they receive remain clean and undamaged. 6. RIBS—You will be turning in two boxes of ribs with 7 ribs in each box at the same time. We will be having a kid’s choice competition in ribs. Kids will judge the same as the adults. You will not be paying extra to be judged by the kids. Please participate in both of these categories so our children can be involved in this fun event. 7. GUMBO and CHILI—You may prepare gumbo chili to your liking using any type of meat, beans, or vegetables you think will please the judges. 8. CHEF’S CHOICE—You may prepare any meat or side dish. No Desserts will be allowed in this category. 9. All garnishes and condiments are prohibited, as they do not reflect the true quality of the cooked meat. Sauces and/or liquid can be added to your meat. NO PUDDLING IN THE BOTTOM OF THE TRAY. 10. There is a 20-minute window that entries will be accepted. We will start accepting entries 10 minutes before the set turn in time and will take entries up to 10 minutes after the official turn in time. 11. Judges will assign a score from 1 to 10 for each tray sampled. 10 being the best and 1 being the least. Each entry is scored individually and not compared to another entry. Trophies will be given for 1st-3rd places. The top 10 in each category will be announced. 12. Cookers are to provide their own trash receptacles in each team’s cooking area. Please be courteous and take care of your own trash. There will be dumpsters on site. Pork Spare Ribs: 14 individual cut ribs (bone-in) in two separate containers (seven in each container). One for regular judging and one for the Kids to judge. Dessert and Kids Dessert: Open Category-Hinged lid must close. Enough product that 15-20 people can try. Children ages 4-17 are allowed to cook in the Children’s Dessert Category. The child must do all the cooking but needs to be monitored by adult for safety. Chef’s Choice: Open Category-Hinged lid must close. Enough product that 15-20 people can try. Gumbo, Chili, and Salsa: Fill 1 inch from the top of a 16oz Cup to prevent spilling during transport. Bartender’s Choice: Fill 1 inch from the top of a 44oz Cup to prevent spilling during transport.